I’m a firm believer that there no such thing as too many bags. I have old bags, new bags, weird bags, colorful bags, plain bags. Whatever the shape or style, they all remind me of something or often some place. When I travel, I often bring home a bag as a souvenir, which is always a happy memory while out shopping or going about day to day life. When I first happened across Kasia Dietz on Instagram, her beautiful Paris photos and handbag designs immediately caught my eye. When I had the pleasure to meet up with her in person earlier this year in Paris, I discovered she is just as lovely! I enjoyed sharing Paris and Italy travel experiences, and of course I couldn’t leave Paris without one of her handbags. 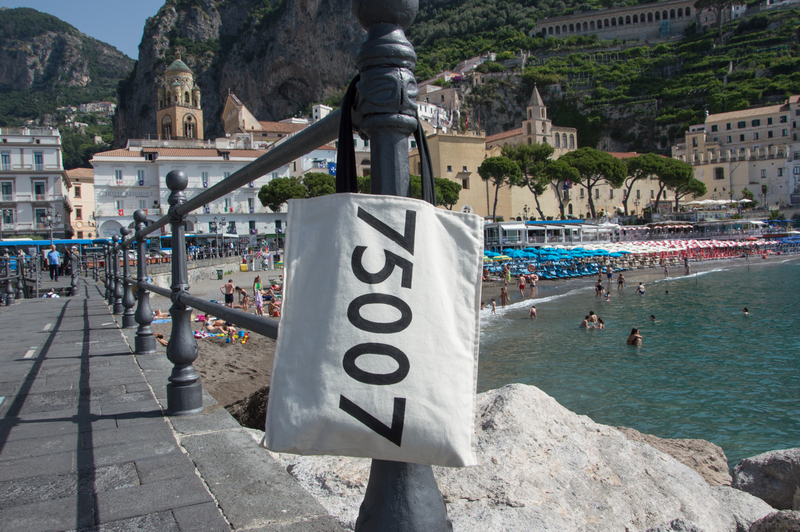 Although Kasia has many beautiful lines of handbags inspired by travel destinations around the world, I couldn’t resist bringing home the 75007 hand printed bag. Although not the most obvious, which is why I love it, the number will probably only be familiar to travelers who have spent time in Paris. 75007 is the zip code for the 7th arrondissement, which is my favorite neighborhood in Paris. I love this bag for traveling since it folds flat and doesn’t take up space in my suitcase. You inherited your love of bags from me. Never can have too many! I really love your Paris bag and the meaning of the numbers. Thinking about Paris is always a good idea! Yes I sure did … and I’m happy about that! 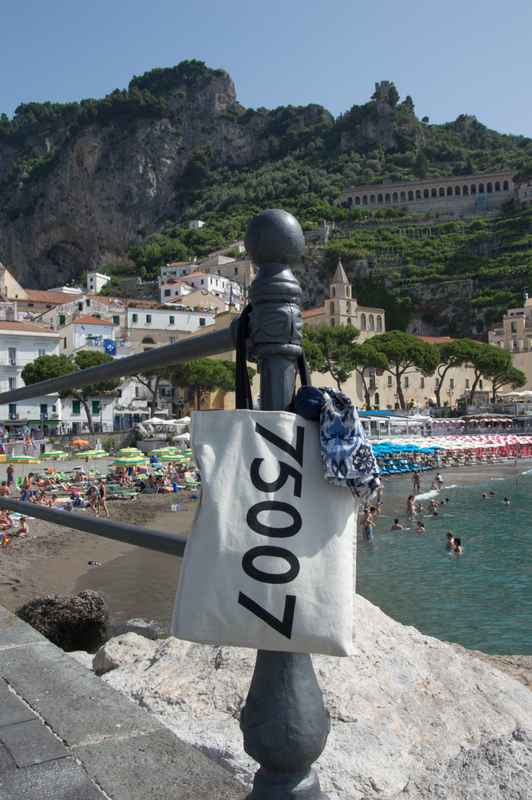 We can be the bag ladies of Amalfi together. Haha! Imagine my amazement when, upon this, my first visit to your site–and thinking how my daughter and I don’t know ONE other USA expat living “in Costiera” (though we’ve been here 4 years)–I see that you like a handbag made by the daughter of one of my best friends in the States. Small world, indeed! Thanks for your message, Josephine! Wow, it certainly is a small world. You’re so right that there aren’t many American expats on the coast. I’ve always wondered why! I can’t believe we haven’t crossed paths before. Do you live here full time? 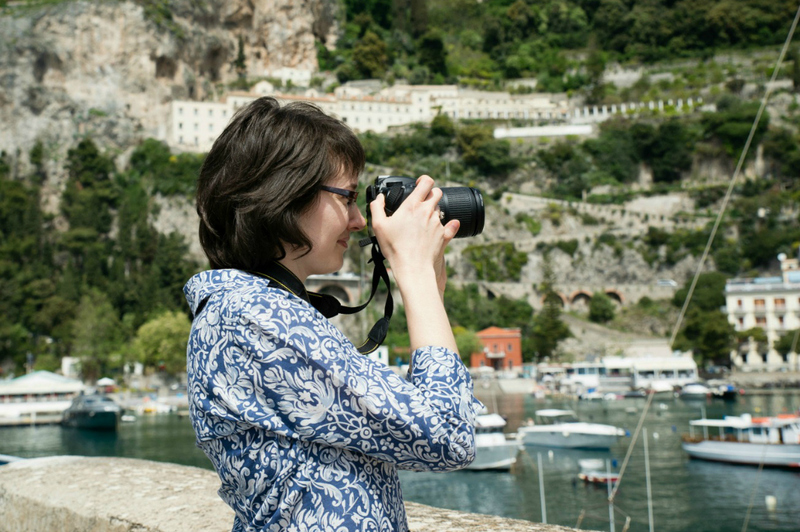 I’m a bit behind catching up on comments here on Ciao Amalfi since August was a crazy month. Would love to meet up!